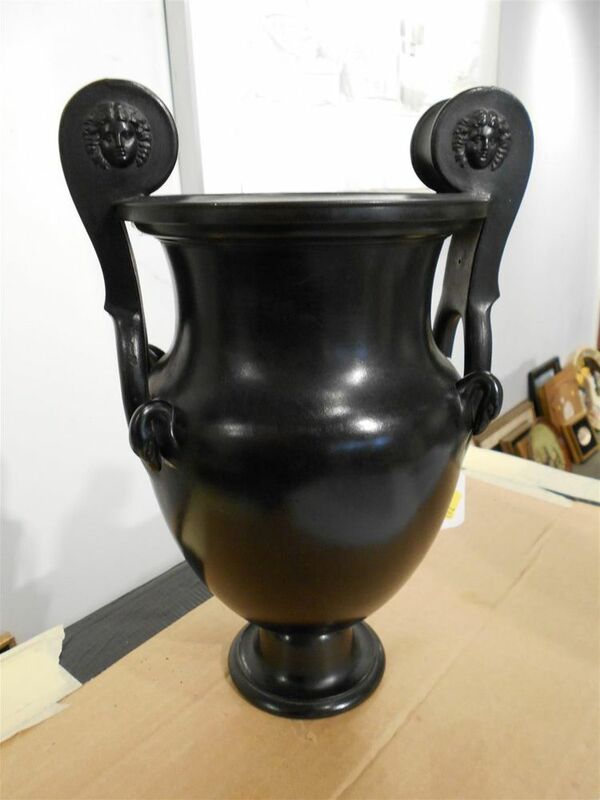 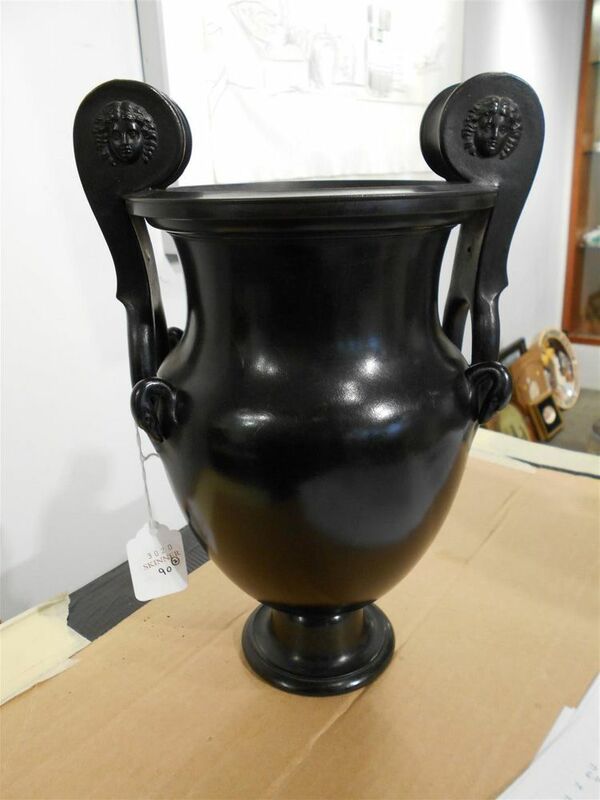 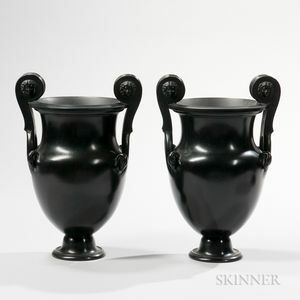 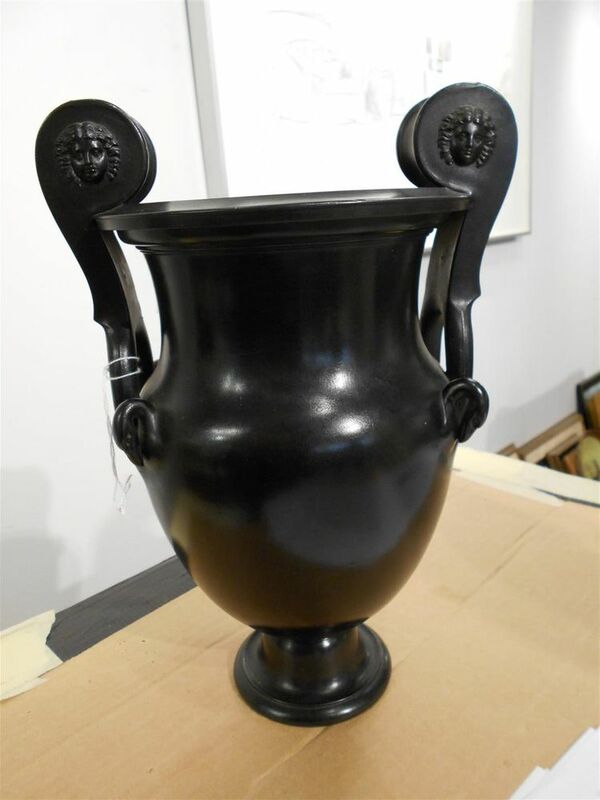 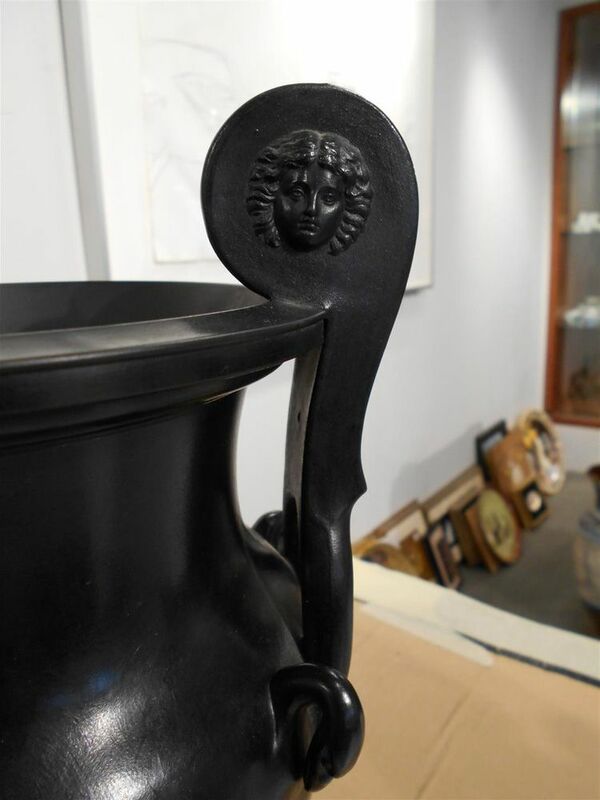 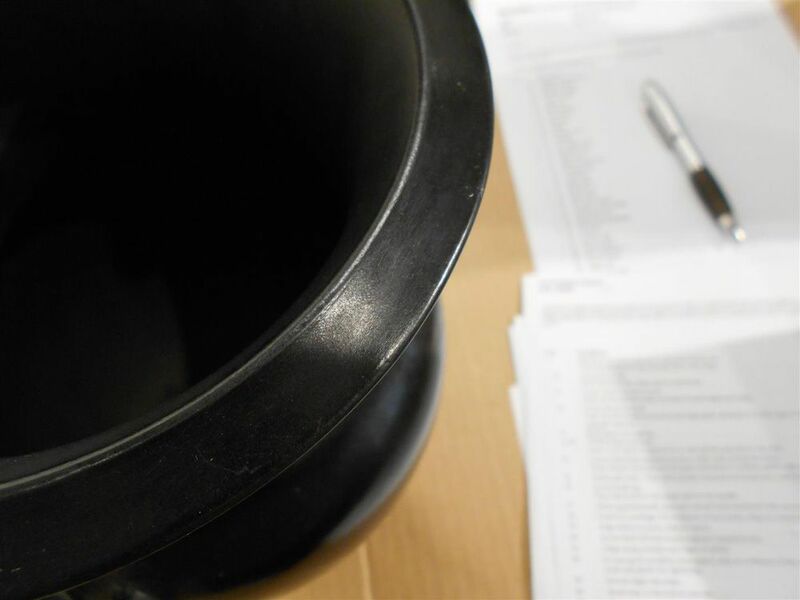 Pair of Wedgwood Black Basalt Volute Krater Urns, England, early 19th century, each with classical masks set to upper scrolls of handles, swan heads to corners of shoulder, impressed marks, ht. 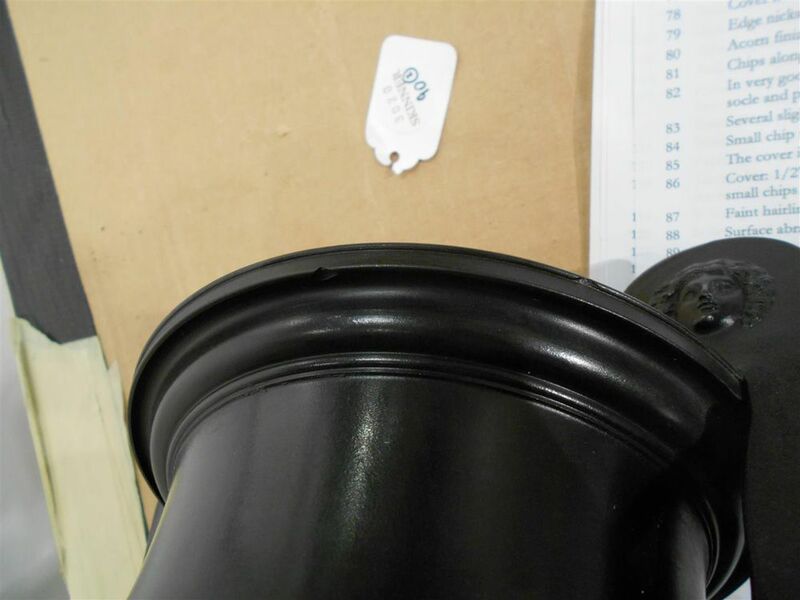 12 in. 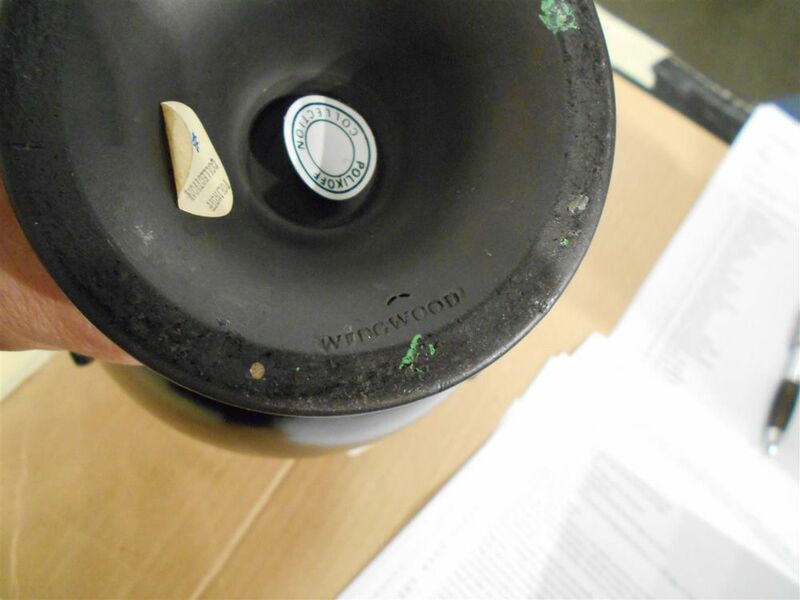 One with restored rim chip.